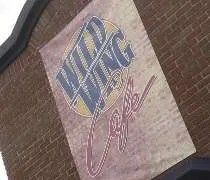 Wild Wing Cafe on Grand River Avenue in Okemos. When I rolled out of bed this morning…er, afternoon, J started asking about lunch. She was hungry. I was hungry, so we started getting ready to leave the house. Last night, I gave her the option of Mexican or wings. Today, I wasn’t really in the mood for Mexican so I made the call to head to Okemos to try out the new chain in town. 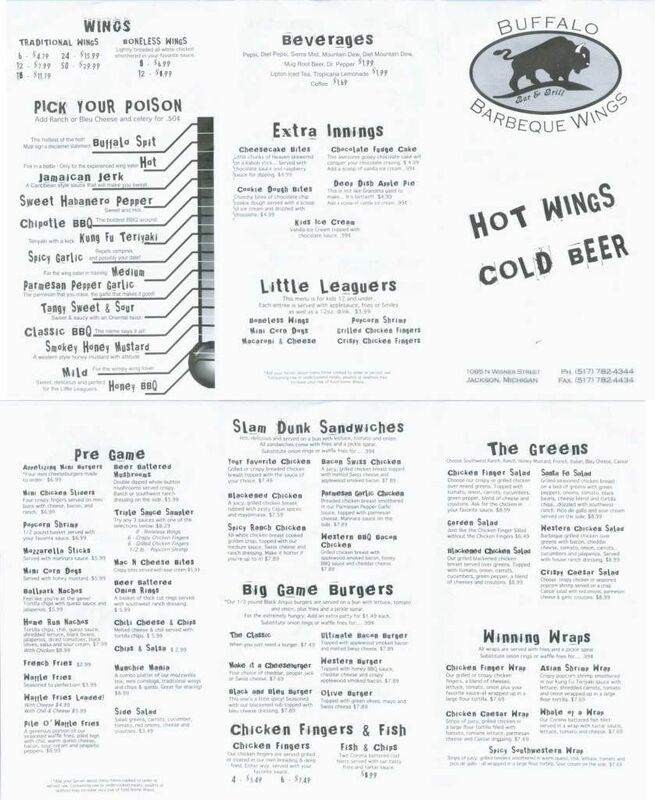 Wild Wing Cafe is on the corner of Grand River Avenue and Okemos Road in the building that used to be Bennigan’s. 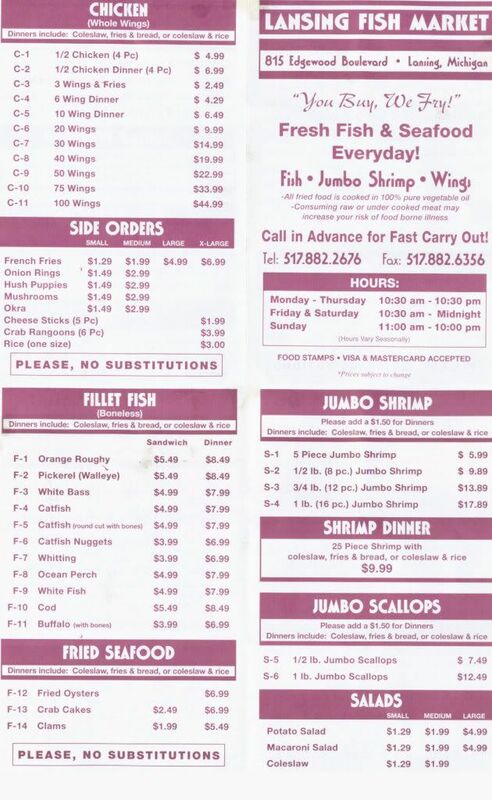 The chain is an east coast franchise based in South Carolina. The Okemos location is both the farthest north and west. I never went into the Bennigan’s, so I have no idea if anything has changed inside. The dining room is anchored by a large bar in the middle that is covered with LCD TV’s. In fact, that’s pretty much the whole design theme. LCD TV’s everywhere. Everywhere! The place really has a sports bar theme. The TV’s are accented with MSU pictures that have been blown up and hung on the walls. The Pizza Hut/WingStreet in South Lansing. When I was growing up just south of Chicago, there was always a fight in my house about where to go for pizza. 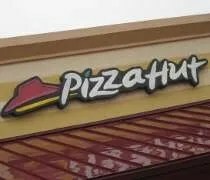 I always wanted to go to Pizza Hut because I loved their bread sticks. My dad and brother always wanted to go to Monical’s (a regional chain which I’ve blogged about before). I usually lost. To this day, I still really like Pizza Hut’s breadsticks. The pizza is alright, but nothing I really crave. J and I have been saying for a year we needed to check out the Pizza Hut Italian Bistro on Cedar Street. The commercials always made the pasta look really good. 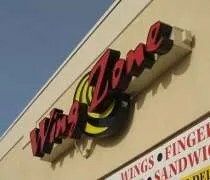 A couple weeks ago, I noticed the “Italian Bistro” signs coming down and “WingStreet” signs going up. 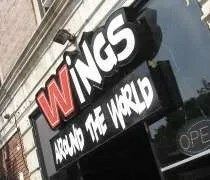 I do like me some wings, so we finally got around to trying something other than pizza at Pizza Hut. The Lansing Pizza Hut is on the south side of town on South Cedar across the street from Meijer. 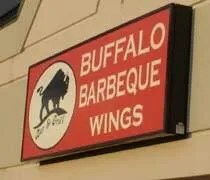 It sits in the corner of a strip mall that also has an Applebees and Finlay’s. We decided to hit up Pizza Hut for a Sunday night dinner. It was about 5:30 when we pulled in to the parking lot. That’s important to remember. When you enter the store, you come in t the carry out counter. There were a few people in front of us picking up pizza and we didn’t want to get lost in the shuffle, so J went right up to the hostess stand and waited. Fortunately, we were noticed right away and taken to a booth. Later in the night, we may have had to wait several minutes until someone noticed us. 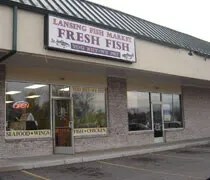 Lansing Fish Market on Edgewood and Washington in Lansing. I’ve seen a couple of these “You Buy, We Fry” places around town and I’ve been curious. I don’t like fish, so that’s kept me out, but for some reason, I was cutting across Edgewood Blvd. a few weeks ago and noticed the Lansing Fish Market. It said they also did chicken, so I made a plan to go back. J wasn’t able to come home for dinner tonight, so I was free to explore a little bit and not drag her to a place she might not like.